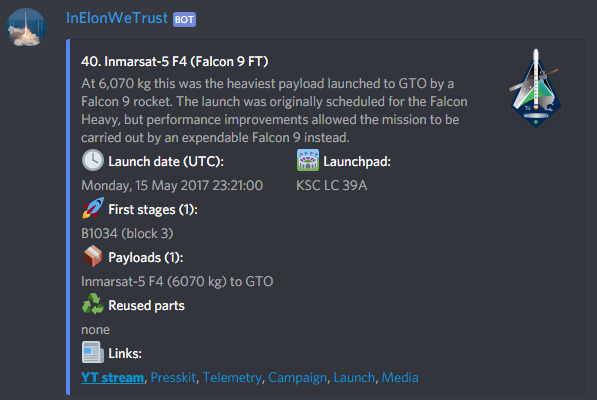 Discord bot providing a lot of funny (or not) commands related with SpaceX and Elon Musk. 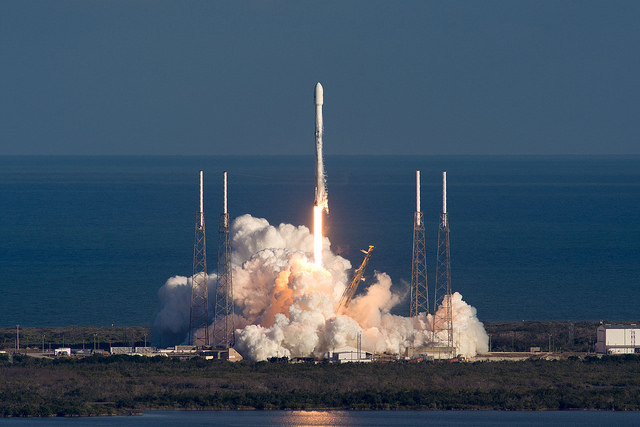 Written at the beginning only to collect information about the upcoming start, it developed into a full-fledged bot providing a lot of information about SpaceX and Elon Musk. Application is written in C# and uses DSharpPlus as Discord client and Oddity as SpaceX API wrapper. Requires Manage Messages permission to do pagination properly. It will work without it but it won&apos;t be that fun.